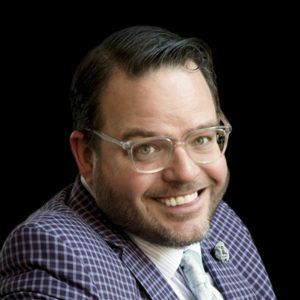 Jay Baer is a renowned business strategist, a New York Times best-selling author of five books, and the world’s most retweeted person among digital marketers. We are thrilled to announce that Jay will be releasing his new book, Talk Triggers in October 2018. Jay’s programs help organizations around the world rethink their approach to marketing and customer experience, helping them gain more customers and keep those they’ve already earned. All of Jay’s programs are customized and include relevant and targeted examples, oftentimes from people right in the room! Jay: Every marketer in the history of the world tells themselves the same lie, and when doing so, makes the same mistake. The lie they tell themselves is “my customers are just too busy.” They believe customers are too busy to read the blog, watch the video, sit through the demo, or interact with the Instagram post. This is completely untrue. It’s not about busy. Are people busier now, or when there was no microwave, ATM, or Uber? We are less busy than ever. What’s changed is that there is more competition for attention. So when customer says they are “too busy” to interact with the company, that’s a euphemism. What they really mean, but rarely say, is that what you have put in front of them is simply not RELEVANT enough. If you give a customer or prospect the information she needs, in the format she prefers, at the moment when it’s convenient, the time needed to consumer and interact with that information will magically appear. Relevancy is the killer app, and relevant marketing creates attention. What are the critical steps to retaining customers and providing an exceptional customer experience? Jay: Customer experience is how we make our customers feel about us. Done well, customer experience creates new customers for free, as remarkable customer experiences (I call these Talk Triggers ) compel word of mouth. The best ways to create Talk Triggers are to observe how customers really use your products and services, and then find ways to consistently deliver something that’s differentiated. For example, there are many car rental services, yet only one has a Talk Trigger: Enterprise, because they’ll pick you up. In the market to hire an amazing speaker for your 2018 meeting or event? We’d love to work with you! Bring Jay to your upcoming event by contacting Michelle Joyce today. Don’t forget to tune in every Friday for additional featured speakers!